All of America is suffering. 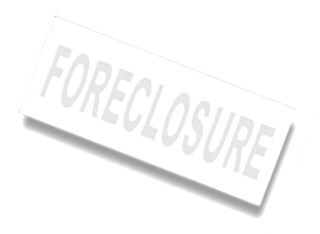 But five states have been hit particularly hard by foreclosures — and foreclosure fraud. In four of those five states, attorneys general have aggressively stood up for their constituents. A.G.'s in Arizona, California, Michigan and Nevada have used everything from lawsuits to criminal subpoenas to go after the fraudsters trying to improperly evict families from their homes. Here, the biggest news Pam Bondi's office has made on the foreclosure front was for ousting two of her top fraud investigators. Oh, and also when one of her top advisors left to work for a firm her office was investigating. Something stinks. I've said so for months. And now, as the Sentinel's Mary Shanklin detailed in her Sunday story — "Bondi lax in pursuing big lenders amid foreclosure crisis, critics say" — more people are noticing the stench. Today, many of those critics — including religious leaders and consumer watchdogs — will gather in Orlando and Miami to demand better. Bondi should pay heed. After all, we're not talking about cutting a break to people who lost their homes simply because they stopped making mortgage payments. We're talking about banks and foreclosure firms trying to kick families out of their homes using fraudulent techniques and without due process. Documents have been signed by fictitious bank officers, paperwork was mysteriously "lost," and dates on contracts were off by days, months, even years. Bondi knows all of that. It was her own office that exposed wrongdoing and earned national praise for doing so. Except, just a few months after investigators June Clarkson and Theresa Edwards issued their report on "unfair, deceptive and unconscionable acts in foreclosure cases," Bondi's lieutenants forced them out. The two women — who both had stellar job reviews and netted a record-breaking $2 million settlement — were given 90 minutes to clean out their desks. "Obviously we did our job too well," Edwards told me after it happened. "We were making too much noise." The oustings were so suspicious that Bondi agreed to let Chief Financial Officer Jeff Atwater's office investigate. That's happening now. But I'm not holding my breath. In fact, I bought some rock shrimp this week. And I will broil, butter and salt this column and eat it along with the shrimp if that investigation holds anyone accountable. Substance and accountability are not the Florida way, especially when one politician is investigating another. Bondi argues her office did nothing wrong by ousting insolent employees. She claims she's as vigilante as ever. And her office repeatedly notes that she has assigned even more staffers to the fraud unit. So what? More staff doesn't mean squat. Where are the results? On Monday, I asked Bondi's office for examples of any major settlements or prosecutions since the office ousted it's top two investigators. All I received Tuesday was a statement from her office in support of Hannukah. I also recalled a disturbing conversation I had with the head of Bondi's "economic crimes" division earlier this year. During our talk, Richard Lawson downplayed any expectations of prosecution and big settlements, saying he'd rather work with the firms to change the culture. I see. So when homeowners don't play by the rules, they lose their homes. But when the banks don't, they get a second chance and maybe bigger profits. Hogwash. Bondi should follow the lead of other attorney generals and start going after the fraudsters — rather than the employees who expose them.